Whether you want to learn to wakeboard or are an experienced wakeboarder, Mission Bay Aquatic Center is San Diego's premiere wakeboard facility. Our wakeboard, wakesurf, and waterski lessons and classes can teach beginners or advanced riders. We provide the best equipment in the industry, with a full line of current year Liquid Force wakeboards, bindings, wakeskates, wakesurf boards, and life vests. All of our wakeboard and wakesurf lessons take place behind current year Nautique Super Air 210 wakeboard boats. For beginners or advanced riders, our Wakeboarding Freeride Session offers you the chance to wakeboard for one day. Another longer-term option for riders of all levels is our Evening Wakeboarding and Waterskiing class that allows wakeboarders the chance to progress quickly over a month-long wakeboard class that meets once per week. 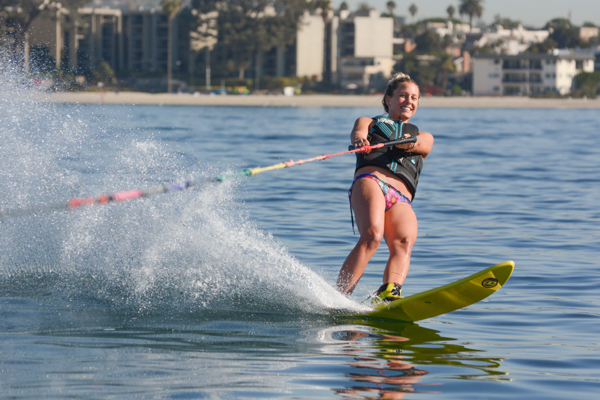 For intermediate or advanced riders, our Sunrise Wakeboarding class is a great option for those looking to get the best conditions on Mission Bay. For intermediate or advanced waterskiiers, we offer an Early Bird Waterskiing class where skiiers will ride behind our Ski Nautique. For those looking to surf a perfect wave behind our boats, the Dawn Patrol Wakesurfing class is a great way to start your day and is open to riders of all levels. This session is open to riders of any skill level. Enjoy a morning on Mission Bay riding behind some of the finest wakeboarding boats available with our expert instructors. 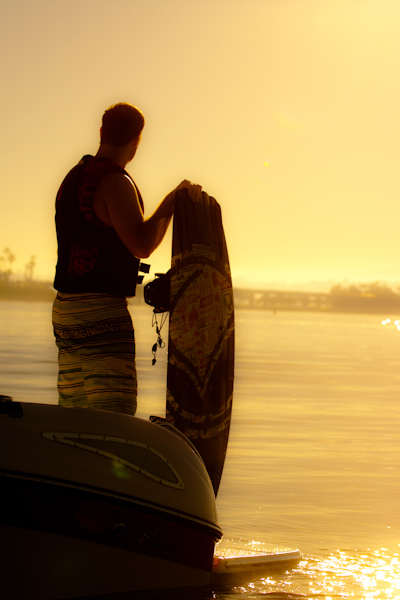 Work on a new trick, learn how to get up for the first time, or give wakesurfing a try. Use this opportunity to ride the finest equipment available from Liquid Force and O'Brien. 4/27/2019 1 Sa 8:00AM-11:00AM Enroll! 4/28/2019 1 Su 8:00AM-11:00AM Enroll! 5/4/2019 1 Sa 8:00AM-11:00AM Enroll! 5/5/2019 1 Su 8:00AM-11:00AM Enroll! 5/11/2019 1 Sa 8:00AM-11:00AM Enroll! 5/12/2019 1 Su 8:00AM-11:00AM Enroll! 5/18/2019 1 Sa 8:00AM-11:00AM Enroll! 5/19/2019 1 Su 8:00AM-11:00AM Enroll! 6/1/2019 1 Sa 8:00AM-11:00AM Enroll! 6/2/2019 1 Su 8:00AM-11:00AM Enroll! 6/8/2019 1 Sa 8:00AM-11:00AM Enroll! 6/9/2019 1 Su 8:00AM-11:00AM Enroll! 6/15/2019 1 Sa 8:00AM-11:00AM Enroll! 6/16/2019 1 Su 8:00AM-11:00AM Enroll! 6/22/2019 1 Sa 8:00AM-11:00AM Enroll! 6/23/2019 1 Su 8:00AM-11:00AM Enroll! 6/29/2019 1 Sa 8:00AM-11:00AM Enroll! 6/30/2019 1 Su 8:00AM-11:00AM Enroll! Early morning sessions are designed to take advantage of the smoothest riding conditions of the day. A few runs before work or school can change your outlook on the entire day. Prerequisite: Riders should be confident getting up on a wakeboard. 5/1/2019-5/22/2019 4 W 6:30AM-8:00AM Enroll! 6/5/2019-6/26/2019 4 W 6:30AM-8:00AM Enroll! This class is designed to take advantage of the smooth water conditions of the early morning. Instructors will coach riders to progress their skills on an individual basis. Surf the endless wave created by our fleet of Nautique Surf System-equipped Super Air Nautique 210s and GS20s. 4/30/2019-5/21/2019 4 Tu 6:30AM-8:00AM Enroll! 5/2/2019-5/23/2019 4 Th 6:30AM-8:00AM Enroll! 6/4/2019-6/25/2019 4 Tu 6:30AM-8:00AM Enroll! 6/6/2019-6/27/2019 4 Th 6:30AM-8:00AM Enroll! Early Bird Waterskiing is our classic early morning waterski session that takes advantage of the smoothest riding conditions of the day. This waterskiing-only class uses our Nautique Ski 200 that provides the softest wake in the industry. Prerequisite: Skiers should be confident getting up on a waterski. 5/3/2019-5/24/2019 4 F 6:30AM-8:00AM Enroll! 6/7/2019-6/28/2019 4 F 6:30AM-8:00AM Enroll! Minimum 2 hours. Whether you are trying wakeboarding or waterskiing for the first time or wanting to try advanced tricks, private lessons allow you to select a time that best suits your schedule and skill level. Learn to ride at your own pace without the pressures of riding with unfamiliar people, or just enjoy your time on the water with your friends or family. 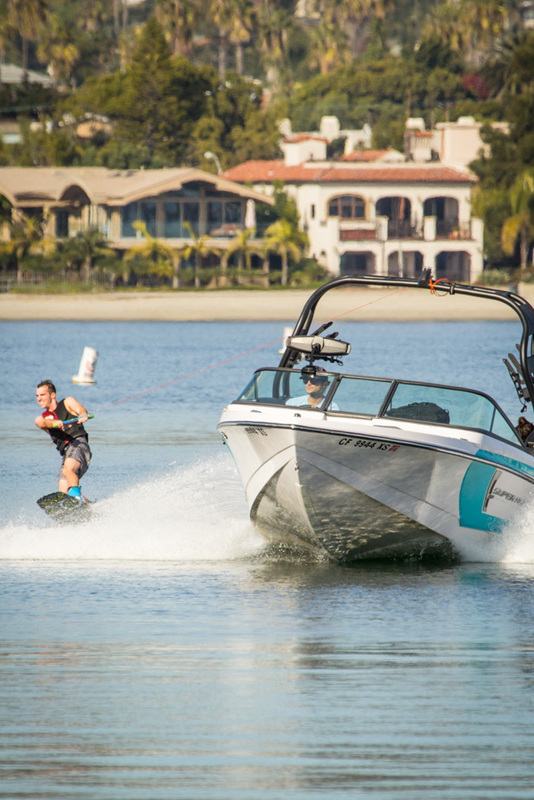 Private lessons by experienced riders and drivers in our fleet of top-of-the-line 210 Super Air Nautiques and uses our full line of Liquid Force and O'Brien Wakeboards. See our Private Lessons Page for more information or call 858-488-1000 to book a lesson.